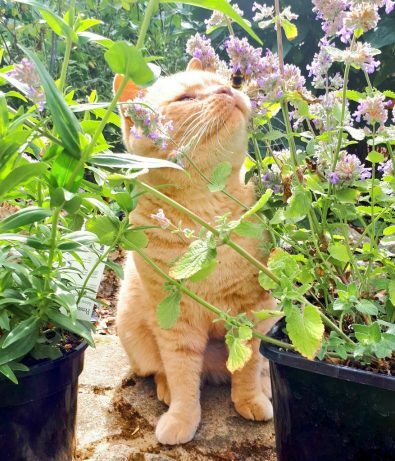 The Charming Cat Cafe evolved as a natural progression after 15 years of fostering cats, maintaining an in-store adoption center, and conducting regular adoption events. Eventually, our founder and owner noticed one consistent pattern: Many cats at adoption events were often stressed, even when they resided within the in-store adoption centers. They were removed from the comfort of their foster homes, placed into carriers, taken on road trips, inserted into cages on tables in the middle of a store with bright lights, barking dogs and other noise, and people milling about trying to interact with them. Often, their personalities would simply collapse as the adoption team would try to convince a potential adopter that the cat hiding under the blanket growling and hissing was really a sweet cat. Then the stress of the day would make some of them sick. There had to be a better way. Why not place them in a public foster setting where people could come visit them? With the success and growth of cat cafes around the world, it just made sense to follow that pattern. It took nearly 24 months to research, plan, meet officials, and collect financing, but when the lease was signed, that preparation condensed down into three weeks of furious activity to build out the space, decorate, spend all that money, install systems, and place the cats into their new home. 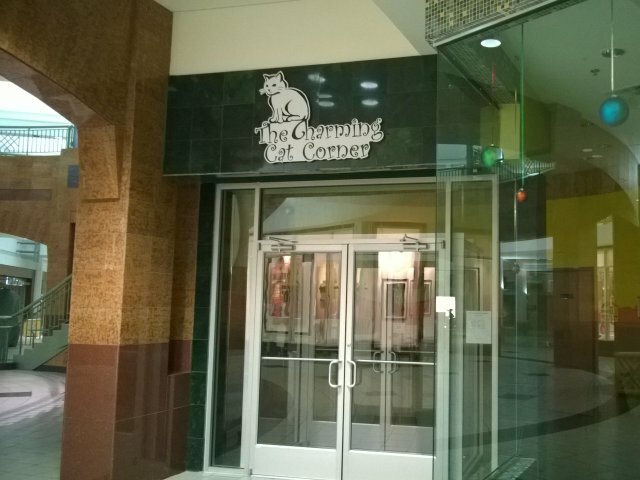 Also, because it made no sense to serve food and beverages with a food court nearby, we used a new name “The Charming Cat Corner” in the mall. 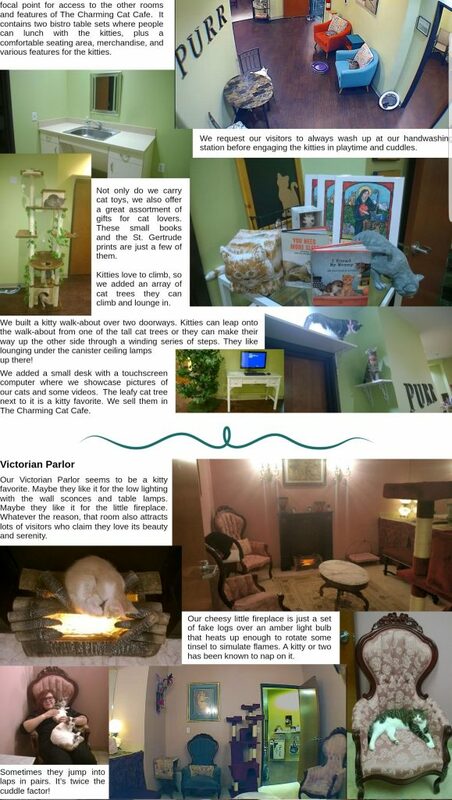 We finally opened on December 05, 2015 to enthusiastic visitors who found a relaxing environment where they could enjoy the company of cats and maybe take one home. And the cats are so happy!